Good news for Kenya Barris who is walking out on ABC and heading down the yellow brick road towards Netflix for a whooping NINE (9) figured deal. 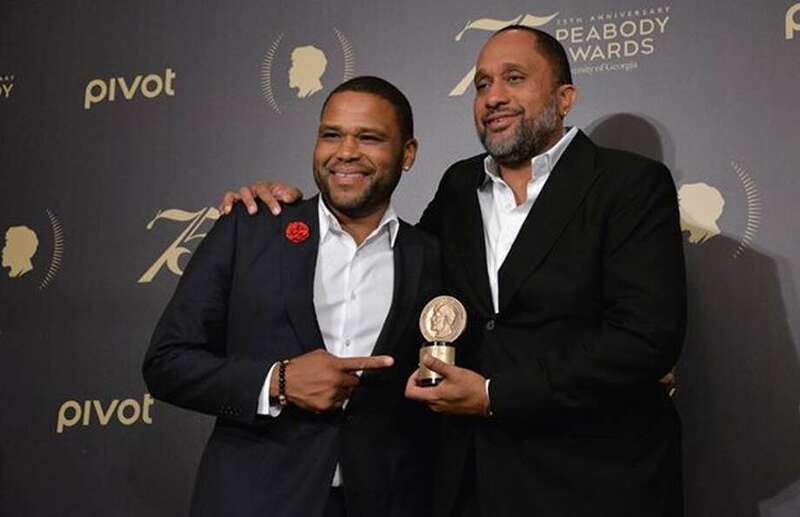 Looks like social media can run with this story as it was rumored for a second that ‘Black-ish’ creator Kenya Barris was leaving ABC Studios. If memory serves us all right, Shonda Rhimes walked away a little while ago and now Kenya; ABC Studios better get their budget together because loosing two of it’s most prolific showrunners is a tough pill to swallow. 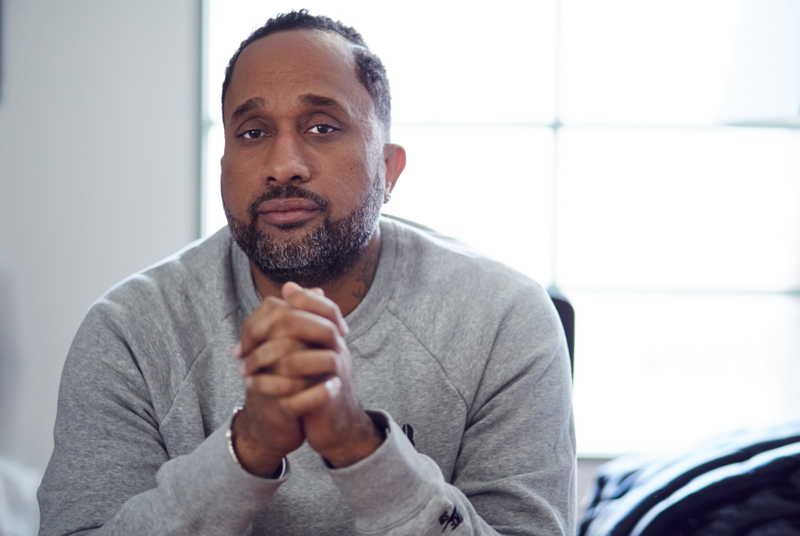 (THR) It’s official: Black-ish showrunner and Girls Trip writer Kenya Barris is leaving his longtime home at ABC Studios as sources say he could become the next mega-producer to ink a nine-figure overall deal with Netflix. Barris’ deal with ABC Studios will end in August as he and the studio have now negotiated his exit. Netflix, meanwhile, declined comment on a potential deal with the prolific writer-producer. “I’m very grateful to Patrick Moran and his team at ABC Studios, who have supported me every step of the way as I created the worlds of Black-ish, Grown-ish and now Besties. It has been an incredible ride including a Peabody and Golden Globe win, Emmy nominations, and many other accolades. Barris’ likely move to Netflix comes as the prolific showrunner, as exclusively reported by THR, had been actively trying to get out of his overall deal with ABC Studios, his creative home since 2015. Barris, who earned a Peabody and two best comedy Emmy nominations for his ABC comedy Black-ish, had three years remaining on the lucrative four-year deal he signed in 2017. Sources say other studios, including Warner Bros. Television, courted Barris with nine-figure offers as well. Barris, like Shonda Rhimes when she departed ABC Studios, will remain an executive producer on all of his shows. Kenny Smith has been promoted to co-showrunner alongside Jonathan Groff on Black-ish. Julie Bean continues to serve as showrunner on the Freeform spinoff Grown-ish. Groff, Smith and Bean all have overall deals with ABC Studios. The news comes months after Freeform handed out a straight-to-series order for Barris comedy Besties, which will remain on track. Kenya BarrisBarris is a logical fit for Netflix, which is seeking what chief content officer Ted Sarandos has called a “rare class of creator” who can deliver hits that are both critically and commercially successful. Barris has proved the ability to deliver that on both the film and TV side. Also of interest to the streaming service, which is looking to satisfy its 117 million subscribers: prolific producers of content. Again, Barris delivered, overseeing a show and a spinoff (Freeform’s Grown-ish) while also developing aggressively on TV and in film.The Netflix deal follows a series of tough breaks at ABC. In March, for instance, it yanked a politically themed episode of Black-ish following creative differences between the network and Barris. At the time, ABC called the decision to scrap it a mutual one between the network and Barris, though sources say otherwise. According to Deadline, Barris will terminate his deal in August. The departure comes just over a year into a deal that wasn’t set to expire until 2021. While Barris and ABC are parting ways, he will remain an executive producer of black-ish, grown-ish, and the upcoming series Besties. Barris will also continue work on ABC Studios projects currently in development. Some observers had predicted Barris’ exit after some reported tensions between Barris and ABC. Back in March, ABC pulled an episode of black-ish, saying that the network and Barris were unable to reach an agreement regarding the episode’s content. Additionally, a Barris project that had received a straight-to-series order was later downgraded to a pilot order after Alec Baldwin backed out of starring. Deadline reports the pilot was never produced. Rumors suggest Barris could be headed for a deal at Netflix, although there’s no confirmation on that front. Incidentally, powerhouse producer Shonda Rhimes left ABC for Netflix nearly a year ago.